In 1958, when America was in a recession, members of Catherine Ponder's Unity Church congregation were asking her for guidance on how to get through it. She started giving prosperity classes, teaching that prosperity was first and foremost a state of mind; a mindset of lack could only manifest negative results. Many members experienced dramatic turnarounds: unexpected raises, promotions, debts paid - yet what struck Ponder was how many people wondered whether it was 'right' to seek prosperity i.e. whether it was consistent with spiritual values. Didn't the Bible say, "You cannot serve God and Mammon" (Matthew 6:24)? Ponder responded to the first question by making a distinction: Mammon is wealth that is worshipped for its own sake; it is wealth without God. Prosperity thinking, on the other hand, puts God first as the source of our supply. She agreed that Jesus had told a wealthy man to go and sell everything he had, but it was because he was still attached to his riches; he did not yet recognise God as the source of his supply. The Dynamic Laws of Prosperity was Ponder's first book and can be considered her classic work, a carefully and compassionately written compendium of the secrets and techniques of prosperity. Following is a sample of her ideas. The brain works in terms of mental images, Ponder writes, and whatever images it has are likely to become reality. You can, therefore, literally see your way to success. When you create prosperous images from scratch, don't be 'reasonable', think big. Project thoughts of increase onto others, and you will find that they do prosper in health and monetary terms. Send positive thoughts to those who you are in conflict with, and watch them soften their stance. That this could work may at first seem incredible, but is simply an extension of the 'speaking well of others' that you were taught to do as a child. Ponder tells of a man who "dared to write out hundreds of times how he wished things to be, rather than fretting about how they appeared at the moment." The man was not deluded, but simply 'affirming his good' i.e. making firm a desire through the power of speech or writing. Desires are healthy, Ponder says - they are like God knocking upon the door of our mind, the means by which we can develop our full potential. You cannot expect to be successful, Ponder says, when you "idly drift in a stream of small events and small expectations." The secret of turning desires into reality is to write them down. You must be specific about what you want and when exactly you would like to achieve it, because the fuel of the imagination is detail. There is a phrase, 'Fortune favors the bold'. Life does seem to clear a path for those who know what they want. Nature respects purpose. Writing things down clarifies your purpose in a way that idle thought cannot. To attract prosperity, don't ever think about yourself as poor or say that you can't afford something. Count your blessings, focus on abundance, look only for opportunities. If you don't have something that you desire, use the 'vacuum law' of prosperity and make room for it by throwing out old goods. Make way for growth. Ponder talks in terms of radiation and attraction i.e. the thoughts that we give out coming back to us in some form. We engage in radiation and attraction all the time, but because we are not properly aware of it we don't see the error in radiating thoughts of negativity and lack. A person trained in prosperity thinking will be very careful to only think thoughts of prosperity, knowing that only these can attract success back to them. Appreciate the prosperity principle that you've got to give to get. You should expect the very best in life, but you must "give full measure for the good you wish to receive" in advance. Emerson's famous essay 'Compensation' highlighted this basic law of prosperity. The key point about tithing is that it is systematic giving, not the ad hoc giving we normally associate with charity. In systematically giving the first 10% of whatever you earn, you'll discover that the remaining money goes further, and that the universe will want to systematically give back to you. People often have a funny attitude about money, Ponder says. They are quick to say that money doesn't mean a lot to them, but spend their lives working to get it. Why not admit that money is important, and that it is basic to living a good life, wonderful if rightly used? Money reacts to your attitudes about it, Ponder says, therefore think well of it and admire what it can do, and you are much more likely to enjoy more of it. See it as a tyrant, and it will be so. Continually remind yourself of the relationship between money and thought. Think of and expect lavish abundance for the day ahead when you wake up in the morning. You may be surprised at what happens. Ponder includes a fascinating reference to Einstein who she says shook up the scientific world by proving that 'substance' (or energy - the unformed) is convertible with matter (the formed, which includes money). Einstein showed that the physical and non-physical worlds are convertible and interchangeable. Prosperity thinking acknowledges the connection between the invisible 'substance' or energy that makes up the universe and your thoughts. By connecting the two, you have greater control over the creation of matter. If you are an academic Bible scholar you may not agree with Ponder's interpretation of Biblical stories, but you will read this book for inspiration and for its quiet good sense about thinking prosperously. 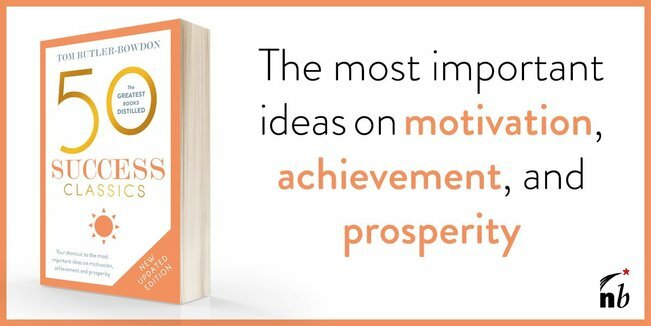 The Dynamic Laws of Prosperity may be one of the more unusual success classics, but could be the most valuable to you if you are willing of have an open mind. (The chapter on overcoming debt may alone justify the price of the book). Consider it a spiritual complement to the more 'nuts and bolts' books on financial success. "Let us be done with thinking of poverty as a virtue. It is a common vice." "There is basically one problem in life: congestion. There is basically one solution: circulation. Systematic giving is, therefore, a powerful practice that blesses every phase of our lives, as it keeps us attuned to the wealth of the universe." Born in 1927, Catherine Ponder studied education and business in North Carolina before being ordained as a non-denominational Unity church minister in 1958. Her first ministry was in Birmingham, Alabama, followed by Austin, Texas, then San Antonio. In 1973 she moved to Palm Desert, California, where her ministry continues to this day. Other books include The Prosperity Secrets Of the Ages(1967), Open Your Mind to Prosperity (1971), The Millionaires of Genesis (1976), The Millionaire Joshua (1978), The Dynamic Laws of Prayer (1987) and her memoir, Prosperity Love Story: From Rags to Enrichment (2003).